I have a few of the crayon style lip products in my make up collection but I had never tried one of the Nars ones, the Nars lip pencils come in a choice of 3 different finishes, satin, velvet matte and velvet gloss and each finish comes in a range of shades, I'd heard a lot of great things about the Nars lip pencils but never picked one up. 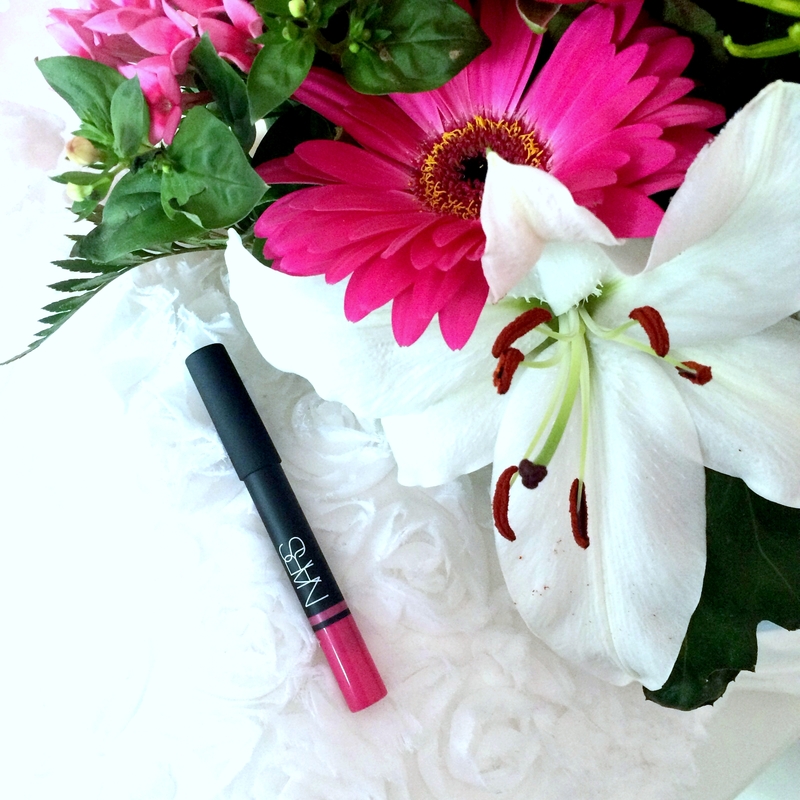 I have a few Nars products in my make up collection and every product I have I love so I was really excited to see if I'd love the Satin Lip Pencil* in the shade Yu too. 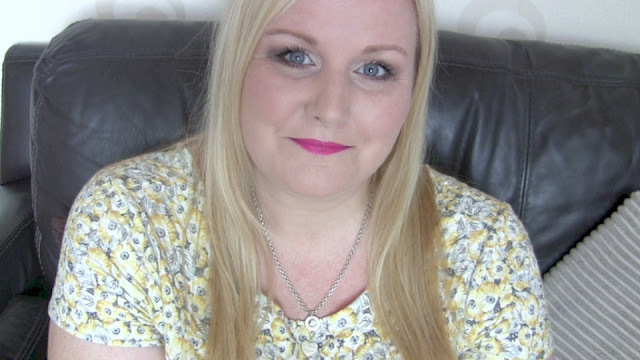 I love to wear bright lip colours and pink is my favourite colour so I couldn't wait to try Yu, I was a little concerned it may be slightly too blue toned for me as some blue toned products don't suit my already very blue lips (thank you medication). I really like the packaging of the lip pencil it's sleek black with the corresponding colour of the product at the bottom of the pencil. As soon as I took the lid of the pencil I knew I was going to love the shade, it is a beautiful bright fuchsia pink shade, perfect for the summer months and one of my favourite lip colours to wear. The lip pencil applied with ease and felt very moisturising, it has a slight sheen without being glossy and is a beautiful colour as I expected, it feels very moisturising on the lips and is extremely pigmented, one of the stand out things for me is the wear time I got from Yu it lasted for hours and hours and wore off nicely, it didn't leave a ring of colour around my lips as some moisturising lip products I've tried have done, it wore away nicely. I was chatting on periscope the day I wore the lip pencil and someone asked me what my lip colour was, it was 10 hours after I'd applied it! I was so shocked that they could still see some of the colour but when I went to remove my make up a little later I could still see some of the product on my lips, it had obviously faded it was over 11 hours since application but I could still see some colour which I find amazing. I would say I get at least 6 hours wear time of full colour without fading from the pencil and then it starts to fade away nicely and evenly after that. I adore the Satin Lip Pencil it applies well, doesn't bleed or feather at all despite being so bright and being a moisturising formula and the wear time is incredible, I recommend this 100% and I would definitely re purchase Yu, I am super impressed with the Nars lip pencil, I can't believe I have never tried them before but I will certainly be picking some more up. If you would like to try Yu or any of the other shades in the Nars Satin Lip Pencils, you can find them at the Nars website, Space NK, Selfridges or John Lewis for £19.00. 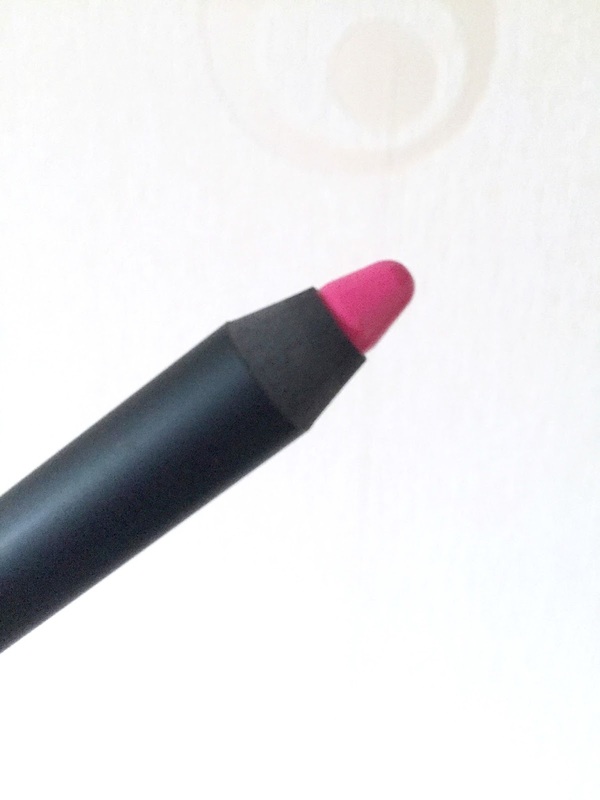 Have you tried any of the Nars lip pencils? What shade and finish is your favourite?